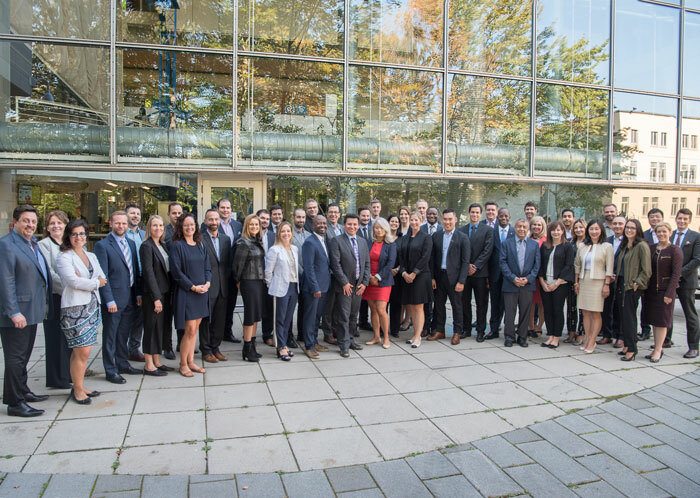 The tenth cohort of the McGill–HEC Montréal EMBA. The McGill–HEC Montréal Executive MBA officially marked its tenth anniversary on March 14–15 this year, as students in the tenth cohort of the joint program received their attestation of studies after completing their program. With this tenth cohort, some 400 participants and graduates have now embarked on or completed an EMBA in the past decade. The tenth-anniversary festivities started with a cocktail gathering at McGill’s Desautels Faculty of Management, bringing together 125 graduates from the past ten years and others. The following day, the graduates had a chance to attend lectures and co-development and networking activities before meeting one last time for a gala evening at the InterContinental Montréal hotel, along with about one hundred other guests. 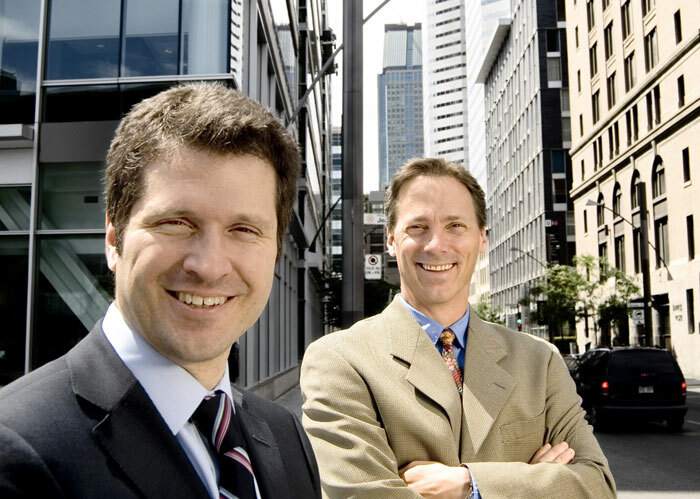 The McGill–HEC Montréal EMBA is a unique program tailored to experienced managers, and the only one available in a bilingual format. “When we created it, we really wanted to make our EMBA a program thought out and designed for its target market, i.e. managers with at least ten years’ experience, five of them in a management position,” explains program Codirector Louis Hébert. “I had already taught in several similar programs here and abroad, so I was very familiar with this type of program,” he explains. He agreed to take on the challenge, and at the same time joined the HEC Montréal faculty. Creating a partnership with McGill University was a turning point in setting up the program. Alain Pinsonneault, a former HEC Montréal professor who had just started at McGill, became Hébert’s counterpart in this project. The two wanted to take a cutting-edge approach with a “new generation” program. 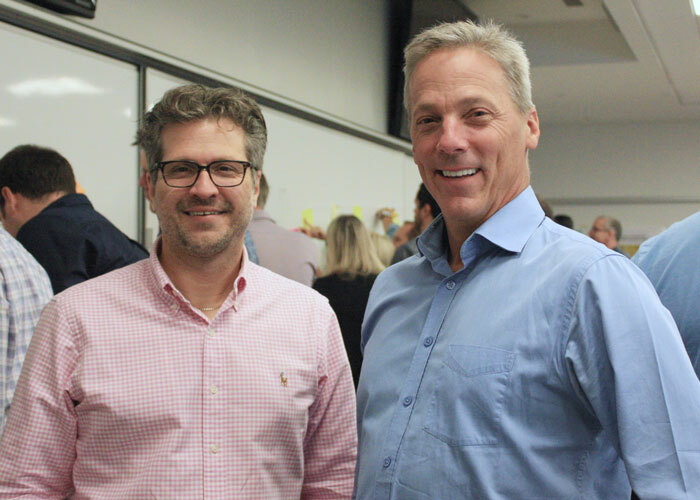 They looked to the ideas of renowned McGill Professor Henry Mintzberg to guide them, making managers’ own experience central to the learning process. Mintzberg’s “managerial mindsets” approach was integrated into the program modules, but also sometimes also into the teaching approach. According to the 50-50 rule, for instance, the professor should speak for no more than 50% of the time – the other 50% is for students to express their views. Another central aspect of the program is “the idea that the way you manage is a reflection of who you are. Everyone has his or her own leadership style, so we don’t train people in cookie-cutter fashion or according to some standard template,” summarizes Hébert. And these pedagogical aims were naturally complemented by HEC Montréal expertise. For instance, modules focusing on wealth creation, operational excellence and managerial tools and practices were integrated into the program. Bilingualism was also a natural choice when creating the program, so as “to bring the two sides of the mountain together,” says Hébert. This means, of course, that participants must be at ease in both French and English, since people regularly switch back and forth between them in class and during other activities. And interestingly enough, at the end of this bilingual program, graduates receive a diploma… in Latin. Over the years, the program has remained faithful to its values and its mission, but new features have been added to adapt to changes in the business world. For instance, an entire module on ethics and sustainable development was brought in five years ago, and another new module entitled “The Future-Ready Organization” was introduced recently. It covers such topics as artificial intelligence, digitalization, industry 4.0 and leadership agility. Louis Hébert and Alain Pinsonneault in the days of the program’s creation. Program Codirectors Louis Hébert and Alain Pinsonneault.